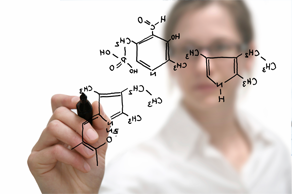 Our vision is to become a service provider of specialized chemistry to our valued customers. We are committed to the highest quality of scientific work and aim to exceed customer’s expectations in all aspects of collaboration. We believe in open and honest communications with our customers. The customer will be notified of any issues with projects as soon as we are aware of them. We are committed to work for the customer as if we are working in the next door. Symmetry Biosciences strives to provide complete customer satisfaction. We offer our customers a metrics system to measure customer satisfaction based on our performance on a regular basis. The quantitative measurement of customer’s satisfaction is directly linked to the project payment. Please contact us for more information. We offer very competitive price structures for our services and the customer will never be asked for additional funding if project extends beyond the original timeline on the proposed work. Additional payment will be discussed with the customers for out of scope work. We operate on the basis of strict confidentiality. All intellectual properties derived from projects belong to the customer.